Senior Associates are selected for being, or having recently been, in the senior ranks of the ADF and/or Defence industry, and serve as advisers to the AIDN-WA Committee on an "as required" basis. They are unpaid and offer their assistance as a community service. Since relevance in this role is usually dependent on recency of experience, the appointments are reviewed every two to three years. Angela Bond was born in Ferntree Gully, Victoria in June 1961, moving to Echuca, Victoria in 1966. Angela joined the Woman’s Royal Australian Navy in March 1980 at HMAS Creswell, later transferring to the Royal Australian Navy in 1985. Initial training was followed with additional and consolidation training at HMAS Cerberus, Platypus, Watson and Harman. First posting as a Sub Lieutenant was to HMAS Moreton in 1982 followed by a posting to Defence Force Recruiting – Navy in Defence Headquarters. In 1984 Sub Lieutenant Bond was posted to Naval Headquarters North Australia Area to work with the Reserve Training Unit - Darwin. In 1986, a posting to Naval Support Command in Sydney to the Command Personal Services Organisation as a Lieutenant involved responsibilities for a range of personnel support functions including housing, removals and funerals. This was followed by a posting as the Command Movements Officer with the exciting opportunity of organising transport and a range of other functions during the Australian Bicentenary. A move to Canberra to Navy Headquarters in 1989 was followed by a posting to the Director General Movements and Transport staff in 1990. October 1991 saw Lieutenant Bond posted to a policy position in the Directorate of Naval Officers’ Postings. This was followed by postings to the Directorate of Naval Warfare and Directorate of Naval Service Conditions before a posting to the Directorate of Personal Policy in Defence Headquarters. During this period Lieutenant Commander Bond commenced tertiary education resulting in a Graduate Diploma in Employment Relations. This assisted in the next posting to HMAS Stirling in 1999 as the Human Resource Manager for Submariners. The Australian Command and Staff Course was undertaken in 2002, followed by Commander Bond being posted to the Directorate of Naval Officers’ Postings as the Manager Employment Policy responsible for officer entry boards, resignations and policy. The next posting was as the Director of Naval Organisational Culture in 2005. Commander Bond was posted as the Defence Support – Fleet Base West, Base Support Manager in 2006, prior to her posting as Executive Officer, HMAS Stirling in 2009. Commander Bond was posted to HQJTF633 in the Middle East as the J1 – Personnel. This position required management of all personnel matters relating to conditions of service, financial and non-financial, welfare arrangements, personnel issue management, workforce numbers and structure, and undertaking the role of JTF633 Mortuary Affairs Officer. In February 2011 Captain Bond commenced her posting as Director Military Salary and Allowances – Policy in Canberra. Captain Bond assumed command of HMAS Stirling and as Senior Naval Officer – Western Australia on 17 December 2012 completing this posting on 18 January 2016. Captain Bond transferred to the Naval Reserves on 11 March 2016. Angela has attained recognised qualifications of a Graduate Certificate in Maritime Studies, Masters in Management (Defence Studies) and a Masters in Business Administration. Angela is married to John Williams and they have four children. Mike is an experienced management and industry leader in the defence, training and maritime sectors. He is the Managing Director of Forgacs Marine and Defence Pty Ltd, a wholly owned subsidiary of Civmec Construction and Engineering Pty Ltd and the Managing Director of Civmec DLG, an Indigenous-owned Joint Venture. Mike has a wealth of experience, having held a number of senior roles in the defence industry over the past 11 years, including being part of the WA Government Defence Industry development team and a key driver behind the expansion of the Defence and Marine Industries in WA. His 32-year Naval career included command of the submarines HMAS OTWAY (1989-90) and HMAS ORION (1990-92 and 1993-95) and the Fleet Replenishment ship HMAS SUCCESS (2000-01). His last role in the RAN was as the Commander of the Australian Submarine Group and the Senior Defence Officer in WA (2001 - 2004). He retired in the rank of Commodore in 2005. He was awarded the Conspicuous Service Cross in 2005 for his “superior leadership, consummate management skills and a total commitment to the submarine service.” Other awards include the Australian Service Medal with Special Operations clasp. Past Board roles include Deputy Chair of the Governing Council of Challenger Institute, Non-Executive Director, Pilbara Ports Authority and Dampier Port Authority, member of the WA State Training Board, Chair of Stepping Stones Child Development Centre and past President and Executive Director of the Submarine Institute of Australia. Prior to joining Civmec, he was the WA Site Executive for Raytheon Australia. Mike’s interests include ocean yacht racing and he has completed numerous offshore yacht races including four Sydney to Hobart Races. He is married to Jenny and they have three adult children and five grandchildren. Graham White served as an engineer officer in the Royal Australian Navy for 31 years, 12 years in the submarine force including two years in Royal Navy submarines on operation during the Cold War, followed by positions on construction, maintenance and operations of Australia's Oberon Class submarines, Fleet Marine Engineer and was the original Project Director of the Collins Class project. Following a period as the Executive Director of the Heavy Engineering Board, he filled positions in Australian shipyards in WA and Victoria, then for three years was responsible for production, test and trials of the first three Collins Class submarines at ASC SA before becoming the Australian Submarine Corporation Manager in Western Australia. Following retirement in 2000, he initiated the sailing for the disabled programme, Sailability in WA, including high performance up to the Paralympic level, became involved in marina developments in WA, and has been extensively involved in competitive sailing and administration at Royal Perth Yacht Club, of which he is a life member and has been on the organising committees for several World Championship events. He has received several awards associated with community activities in WA. Since 1989, Pat has held a number of challenging senior roles for leading edge business units of Australian or internationally based companies in WA and Victoria. All of the companies were developing and delivering advanced electronics systems and technologies, targeted at Defence and/or commercial markets, locally and/or globally. In more recent years, Pat has led teams of over 100 highly qualified staff in the WA operations of both Nautronix (now L3 Oceania) and Thales, largely supporting the Defence and/or oil and gas sectors. In 2005, Pat became a founding Director of the Dichotomy Group, which is a niche consultancy that has worked with a mix of Federal and State agencies on delivering outcomes to enhance security. In addition, Pat has undertaken strategic reviews of a number of SMEs, which included being appointed to the Board of WA based SME, Calytrix. Before entering private enterprise, Pat served for over 22 years in the Royal Australian Air Force in a variety of roles in the communications electronics field. His efforts in the RAAF were recognised by a number of awards, culminating in 1988, with a Chief of Air Force Commendation for successful oversight of two major communications projects, which were successfully delivered without compromise to RAAF or Defence operations. Pat’s final RAAF role saw him based in Canberra at the Australian Department of Defence on the Jindalee Over The Horizon Radar Project. Pat has had a long relationship with government and industry bodies which have sought to provide greater opportunity for Australian companies and/or individuals both in Australia and overseas. In 2000, he was part of team that showcased Australian automotive innovation in the US. From late 2002-2005, Pat was active in the Australian Defence Industry Advisory Council sub group, which assisted development of the Defence Electronic Systems Sector Strategic Plan. From 2007-2009, Pat served on the WA Government sponsored Defence Industry Skills Unit Board. In the non-Defence sector, Pat also held a position on the Chamber of Minerals and Energy WA Engineering & Contractor’s Roundtable from 2012-2015. In June 2016, Pat was invited to join the WA Defence Industry Advisory Council, which advocates for more Defence project acquisition and support work to be carried out in WA. 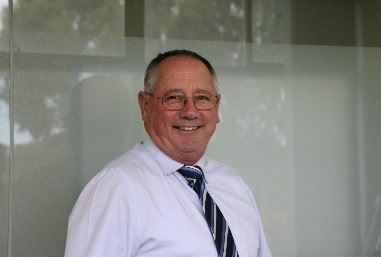 In the NFP sector, Pat has taken on a number of Board or committee roles, which in the past included AIDN WA (SME industry association), ‘Serenity Lodge’ (residential programs dealing with substance abuse), Military Historical Society of Australia (personal interest & hobby) and Melville Turf (acquisition and operations of a synthetic turf sports facility). Currently, Pat serves on the Hockey WA Board (sport) and Torchbearers for Legacy in WA (Veteran’s families support organization). Very recently he was elected as a Senior Honorary Associate to AIDN WA. Pat’s interests have seen him become a long standing member of The Ethics Centre, RAAF Association, the Navy League, Association of Old Crows, Orders and Medals Research Society, Fellow & Life Member of the Military Historical Society of Australia and Life Member of the Melville City Hockey Club. As a result, Pat has become known as a recognised authority on a wide range of militaria & military history, is still active in hockey and now spending time 4WD in the remoter parts of Australia. Finally, Pat is married to Allison, with two talented grown children to keep up with, while sharing a strong common interest in hockey and increasingly as well, the outdoors. Peter Horobin is a submariner who has subsequently enjoyed a career in industry, usually in support of the submarine community. He has worked as a consultant to the Australian Federal and State Governments and the Malaysian Ministry of Defence, and held senior positions in industry. In recent times he has been the director with responsibility for an international submarine rescue organisation supporting three of the NATO countries, Australia and Singapore, and more recently the regional (Asia Pacific) lead for the same submarine escape and rescue organisation, JFD. He played a significant role in the National Submarine History Task Force that provided the submarine OVENS for the Western Australian Maritime Museum, and he was the founding president and recent past president of the Submarine Institute of Australia Inc. He has served on the AIDN WA committee and as President in AIDN WA in 2010/11.